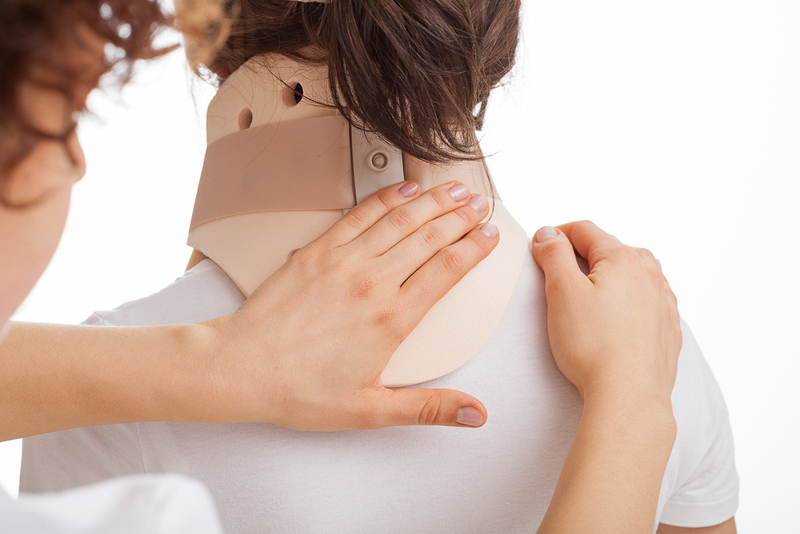 Neck pain is a common problem that affects millions of Americans each year. Strains, computer work and spinal problems can lead to intermittent or chronic stiffness, discomfort, and loss of range of motion. At Healing Touch Chiropractic in Sacramento, CA, we provide a variety of techniques to help relieve neck pain, so individuals can function more comfortably in their daily activities. You may experience muscle strain that makes normal movement difficult or painful. Individuals may have intermittent spasms in the neck muscles that come and go during daily activities. Frequent headaches can accompany neck problems. The facet joints in the upper spine may produce discomfort in the shoulders or upper back. Pinched nerves can occur that lead to chronic pain or tingling. Strained neck muscles can cause neck pain, and herniated discs in the upper spine are a common problem. Some individuals develop osteoarthritis in the neck and upper spine that leads to chronic discomfort. Stenosis, a narrowing in the spinal column, can lead to pressure on nerves. You can reduce the risk for developing neck problems by taking a few proactive actions in your daily life. A flatter pillow or orthopedic pillow may provide better support for your neck while you sleep. Back sleeping can prevent strains to muscles and tendons. Adjust your computer monitor to a comfortable level. Limit texting and cellphone use. Looking down at cellphones can strain muscles and tendons, leading to neck discomfort. Do a few stretching exercises and massage your neck muscles to prevent tension and strains. Drinking fluids helps to hydrate the discs of your spinal column and muscles. Monitor your posture throughout the day. If you talk on the phone frequently during the day, a headset can help to prevent compression of neck structures. Manual adjustment can help to re-align spinal structures, allowing discs to return to their normal position. Your Sacramento chiropractor may also use special instruments as part of neck pain treatment to relieve pain at trigger points and reduce scarring in muscles. Corrective exercises can help to strengthen supporting muscles for better function. Massage therapy soothes strained muscles and improves circulation of blood and healing natural chemicals to affected areas. Dr. Lawson, Dr. Kamerman and Dr. Miller combine their extensive knowledge of chiropractic to help their patients in Sacramento, CA and surrounding areas achieve relief from discomfort and better function. Call Healing Touch Chiropractic today at 916-447-3344 for an appointment to discuss chiropractic techniques that can help to relieve your neck pain.